It is strictly forbidden to use and/or copy (parts of) this research without written approval of the both the IRSP and the Embassy of Rwanda. This report is a culmination of seven months research and was commissioned by the Embassy of Rwanda in the Netherlands in conjunction with the International Research for Students Program (IRSP) of the University of Groningen. The research was conducted by six senior students of the program International Relations and International Organization; four of whom travelled to Rwanda for a three-week intensive data collection fieldtrip in March 2011. It took quite some time to get familiarized with the topic and it was not until the fieldtrip that the team got a clear understanding of what Rwanda is like. We thank the Rwandan Embassy for the Netherlands and the IRSP, for availing the opportunity, to learn about this part of the world, as well as for the opportunity of putting our research skills to the test. Rwanda is in the midst of an intensive process of transformation in which private sector development and attraction of Foreign Direct Investments (FDI) have been identified as critical components that play a central role in the development of the country. The former, because the Government of Rwanda (GoR) believes that the private sector operating in a market economy is best suited to efficiently allocate- and effectively utilize resources to boost production. As such, the GoR recognizes the need to stimulate the private sector, and to put a physical and soft infrastructure in place as preconditions for its proper functioning. The latter, because the country does not possess sufficient capital, expertise, and equipment to achieve the level of development as laid out in the Vision 2020 document (which charts out a roadmap to transform Rwanda into a middle-income country by the year 2020). Therefore, the GoR emphasizes the need for FDI in order to enable the momentum required to transform the country from its predominantly agricultural base into a knowledge-based economy dominated by a service industry with a focus on ICT. Rwanda is on a steep development slope, heading upwards with remarkable speed. Since the country’s development is only recently really taking off, there are abundant business opportunities ready to be exploited by any foreign firm with the right spirit to do business in Rwanda. Additionally, there is a government in place which is vigorously encouraging and facilitating such investments - as long as the projected activities are in line with the aims of Vision 2020. Dutch firms have a particular expertise in the areas of agriculture and related infrastructure, as well as in horticulture and wet infrastructure. Other opportunities exist in sustainable energy, and in the ICT- and financial services sectors. Rwanda is one of the first Sub Saharan countries to embark on a new, comprehensive private sector-focused model of development, thereby functioning as a model for other (Sub Saharan) countries to follow. Any company with the slightest interest to expand its business and activities into Africa had better be there soon. 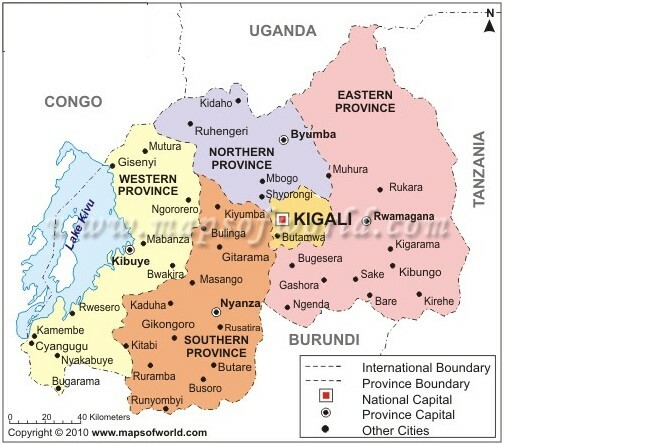 It is the informed opinion of this research project that Rwanda is the perfect location to start a business in SSA: it provides a small and stable base to set up activities and get familiar with the region, from which to expand into the wider East African Community (EAC) market, and from there, possibly to the rest of Africa. This report aims to chart out a strategy to enhance Dutch FDI in Rwanda. The methodology used to compile this report starts with an assessment of Rwanda’s development strategy and envisioned goals, and of its general investment climate. This is followed by an analysis in the second chapter of seven of Rwanda’s core economic sectors in order to identify opportunities for investment contained therein. The third and last part of the report analyzes the Dutch economy - focusing on the Dutch ‘top sectors’ - and continues by relating Dutch investment potential and expertise to business opportunities in Rwanda, thus discovering potential areas of synergy. Most of the currency figures used in the report which were originally in Rwandan Francs (FRW) have been converted to Euro at a rate of 0.00115 Euro/Franc, and vice versa: 870 Franc/Euro. During the course of the research, one of the observations made while in Rwanda is the pride the country takes in itself and in its development. This particular characteristic is a cause to the drive for further development, because it motivates the Rwandan people to strive to overcome obstacles and to continue to be an example for other countries. We carry the hope that this report will help enhance Rwanda’s socio-economic development, whose sweet fruits will be harvested to benefit the people of Rwanda. Ernst & Young’s 2011 Africa attractiveness survey, “It’s time for Africa”, 32.